Compare prices from several car hire companies in Almeria Airport and find the best price for car rental. Our prices always include unlimited mileage and insurance. 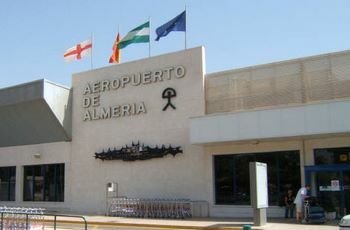 Almeria Airport (LEI) is located on the coastline, the Costa Tropical on the Mediterranean Sea, is about 9 km to the city of Almeria to the west. L-20 airport bus into the city center, and it is also possible to take a taxi or rental car. The trip takes about 20 minutes. The airport is the third largest in the Spanish region of Andalusia, which is located south of the country, measured in number of passengers. Every year the airport received about 1 million passengers, many of whom travel by charter flights. Iberia, EasyJet and Thomas Cook are a few of the companies that offer flights to Almeria. At Almeria Airport can buy duty-free goods and other items in a store. For something to eat, passengers can buy a snack at one of the cafes.